He died because he could not kill ‘him’. He lived because he could not kill ‘him’. 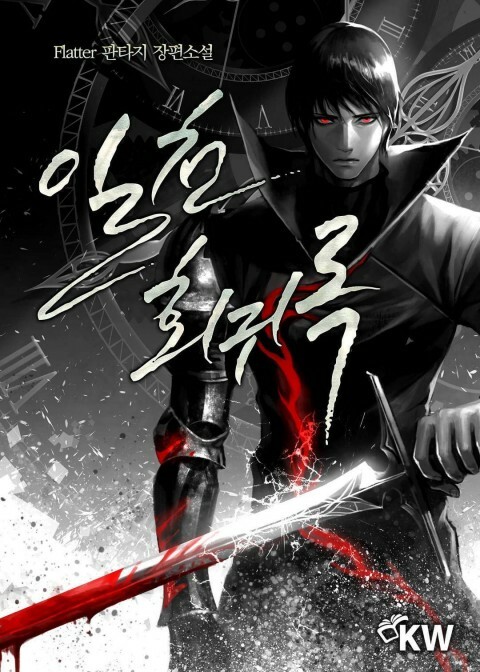 Kang Yoonsoo, who had lived 999 lives by losing to the Demon Emperor. Once again, he went back twenty years in time, back to his starting point. Either he dies, or ‘he’ dies. The thousandth life of a man who has mastered all the skills in the world begins. The start of the novel is really good. The story progresses smoothly whilst character development and worldbuilding proceed alongside the plot naturally. So far it’s really well written. The writing style is concise and informative, there's no needless exposition. The plot as far as I can tell is basically All You Need Is Kill except in an RPG setting. Too bad it got dropped. Such potential. The first chapter, which highlights some of the MC's past attempts, is awesome. The other chapters aren't bad either. But the story goes down a narrow, forgettable path. The MC's tasks have no luster, and lack the exhilarating feeling that they're part of a greater plot. They're like random side missions instead of the major quests that advance a story. It makes the MC's detachment carry over to readers. The MC's personality is understandable in light of his history, but doesn't seem as striking or deep as it could be. So as far as going back into the past, this one is top notch. The author has discontinued the series (not sure if he's going to pick it up again) but it's an excellent story, with a good premise! Only at chapter 10 but it's very fast paced and the intrigue is very present and one of the main driving forces of the novel. A definite read if you enjoy reincarnation with a dark setting, a character who has previous knowledge, game elements and a little human psyche! It's a story about a MC that can't really die till he defeats the Demon Emperor. After being killed 999 times, he revives for the 1000th and the story is like a "OP guy knows how to complete the main quest line because he already played the game too many times but he kind missed some sub-quest so he tries to see what happens if he does them" kind of story. Too little chapter translated to see if it's a good story or not, but it has a good start.